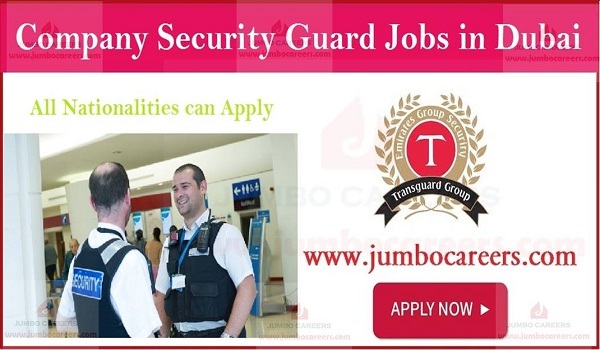 Trans guard Group Dubai is hiring experienced male security guards across UAE. Male candidates from any nationality can apply for latest security guard job openings with trans guard group UAE 2019. * Security Guard preferably with 1 year home country and 1 or 2 years of UAE work experience. * Police, security or armed force experience would be considered for sure. * Age limit which must be 21 years old or above and height 173 cm or above. * Attested certificates are mandatory from your home country and the UAE embassy. * DPS certificate, experience certificate and a copy of PSBD card must be provided for approval. * Must have high school diploma or have a higher education. How To Apply For Transguard Security Jobs 2019?